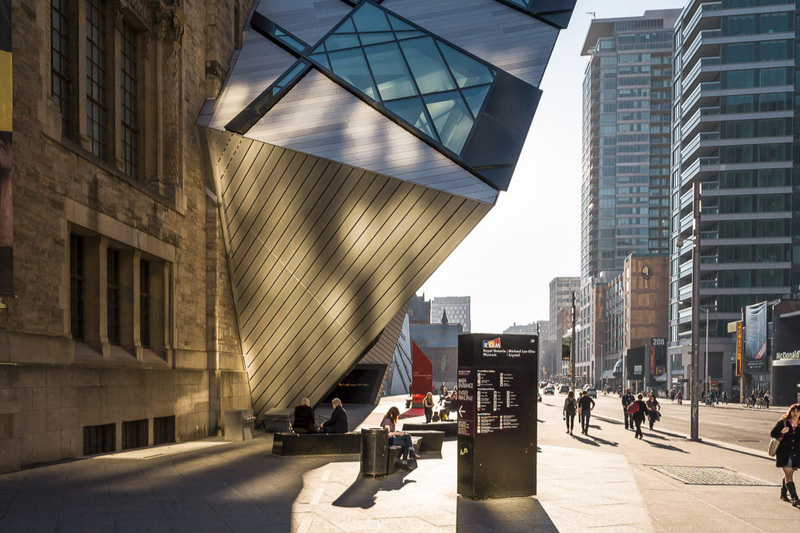 Quinn Design Associates partnered with internationally renowned architect Daniel Libeskind and B+H Architects to provide landscape design and consulting services for the expansion of this revered Toronto museum and landmark. The firm created a welcoming new arrival plaza off Bloor Street with seating, lighting, signage and dynamic paving patterns that animate the space. Our firm also worked to retain and invigorate the century-old oaks on the site and restore an associated section of the heritage landscape of Philosopher’s Walk. This area of the project included a water element representing the alignment of the historic Taddle Creek, buried at the site years earlier, in order to connect local history with the present. Throughout the process of design and construction, we provided invaluable expertise in mediating between the institutional client, the municipality, and community groups on environmentally sensitive issues such as tree preservation and landscape open space in order to ensure a successful project outcome.